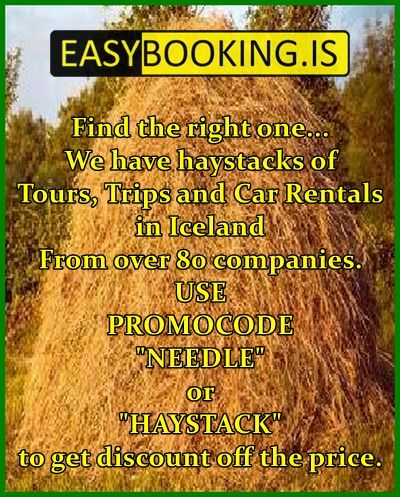 Booking Office ehf is a Iceland-based online tour booking company. We are committed to service to all who may be interested in exploring our beautiful nature and experience all that the country of Iceland has to offer. We offer tours from most of the best travel- and tour companies in Iceland. Look at our easybooking website where you can find over 500 tours and trips in Iceland. 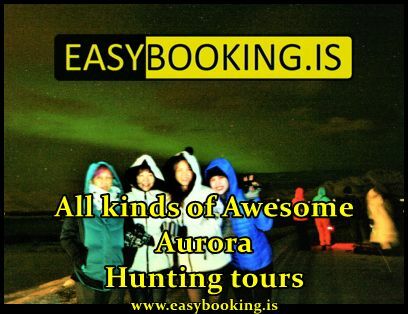 If you are looking for good Auroratours click here to find them in our easy bookingweb. If you are going on a self drive Aurorahunt look at our Aurora over Iceland website and our Easy Carrental page.